STEM + Minecraft, Prepare for a full-day of a combination LEGO® camp packed with hands-on and minds-on STEM fun and fun play time at Makutu’s Island! 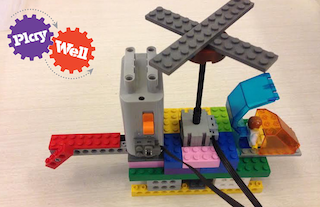 For the Lego portion, the kids will build projects inspired by cool machines close to home, such as Trains, Helicopters, Treehouses, and Beam Bridges. Then build a Portal to the Nether, Creepers, and Minecarts from the Minecraft universe! Engineer and Craft innovative solutions in this new full-day themed engineering camp for LEGO® fanatics! In addition, at Makutu’s Island, our campers will have full access to the play area which is a lush, exciting indoor “island” with towering trees, climbs, mysterious caves, crawl tubes, and zip tracker. The tree is filled with tunnels, tubes, mole-holes, and slides. A "bungee jump" and arcade games are extra and can be purchased separately. Campers need to wear socks daily as they are required for play. They are also available for purchase from Makutu’s Island. Pick-up is promptly at 3:30pm. Please note that you may be charged the daily Extended Care rate ($20) for excessively late pickup. Campers will have at least one break per session and a larger break after eating lunch.